Dr. Sanford Kulkin has more than 25 years experience in the study and application of social behavior and personality assessment. Since 2004, PeopleKeys.com has helped thousands of organizations achieve their corporate goals. Assisting them with employee assessments, behavioral analysis; and more. As a member of the Schoolhouse Review Crew, I’ve recently had the opportunity to use and review the StudentKeys Student Binder Package, valued at $49. This binder includes six separate StudentKeys workbooks, primarily written for use by high school through college age students. They are each 8 1/2″ x 11″, small (17 – 24 pages), black on white paper workbooks. They can aid us, as parents and teachers, in recognizing, understanding; and teaching to our children’s strengths. = created to assist you in understanding how you best absorb information and learn through your senses. It explains the differences between the three styles of learning — Auditory, Visual, and Kinesthetic — and then profiles your personal style of learning. = intended to enhance your understanding of how your mind thinks. Different thinkers — Literal, Intuitive, Theoretical, or Experiential — are motivated to learn in different ways. = designed to help you understand and clarify your personal values style; noting that values are underlying motivators that affect every area of our life. = acknowledge your personality style using the D.I.S.C. profiling system, and help you make critical decisions, and plans to positively affect your future. I originally wanted this Student Binder for my high school senior. Once I received it and browsed through it, I decided I should include my freshman daughter, as well. Every page of every workbook says, “All Rights Reserved. Duplication Prohibited,” so one of the first things I did was to call StudentKeys – 1.800.779.3472, to ask their policy for making copies of worksheets within my family. They didn’t hesitate to assure me they had no problem with my copying work pages for my own children. They just don’t want anyone taking advantage of their generosity (my words) and making copies for co-ops or corporate. I truly appreciate this, and decided that my college age children, my husband and I would all benefit from working through this binder. These workbooks can easily be used alone by high school students, but I chose to facilitate the tests and exercises. Yep, that’s my personality! We learned, and continue to learn, to identify, understand, observe; and build effective relationships. This is designed for high school and college classrooms, roommates, jobs, etc. ; but you can see why I was excited to have more insight into better working relationships within our own family. For the most part, it’s been accurate, real, and good for us. We’ve been reminded that no learning style is better than another. They all have strengths and weak areas. This was very affirming to some of my kids! They’re learning that they can become skilled in using all of their sensory channels, if they explore them to understand them, and then apply what they learn. The questions and exercises throughout each of the workbooks are very helpful. The Thinking WB includes a thorough profile, explanation, examples and worksheet exercises. My students didn’t feel labeled, but felt they were given a tool to discover and understand how to maximize their strengths, while minimizing their weaknesses. I wished I’d had these tools years ago! Even in the same family and household, each person operates on a system of values that is unique to them. I didn’t understand this before, nearly as well as I do now. Our values determine our perception of everything, and everyone around us. Without a clear understanding of our own value system and attempting to understand differing values styles, we have the tendency to become hurt and offended, fearful of interaction with others, and even unsympathetic. We’re in the process of seeing each other a little clearer. We have enthusiastically browsed the Career and Goal Setting workbooks, but we haven’t really used them, yet. The opportunity to read lists of General Occupations enjoyed by each, individual personality style is definitely interesting. A couple of my children have already had their present career choices confirmed, and that was quite a confidence builder. The Goal Setting WB appears to include a lot of tips and worksheets — setting Career Goals, Educational Goals, Leisure Goals, and Personal Goals — with instruction for understanding and managing obstacles; and prioritizing and making a workable timeline. Intensive, but we’re looking forward to getting to it! The StudentKeys Student Binder is a valued asset to being our best selves and doing our best to achieve the purpose God created each of us for. Please, browse the PeopleKeys website, and click the banner below and follow the link to read what my fellow Crew mates have to say about this product, too. Disclaimer* I received the StudentKeys Student Binder Package, in exchange for my honest review as a member of the Schoolhouse Review Crew. I receive no other compensation for my reviews on this blog. The opinions expressed are my own. Thank you for your comments. I enjoy hearing from you! Contents of this blog are copyrighted; they are the property of Knee Deep In Grace and may not be used without written permission. Gryphon House is an exceptional publisher of educational resource books for teachers and parents, public school and homeschool, young children; and administrators. Their website is easy to navigate and stimulating. There are hundreds of free activities available for you and your child! 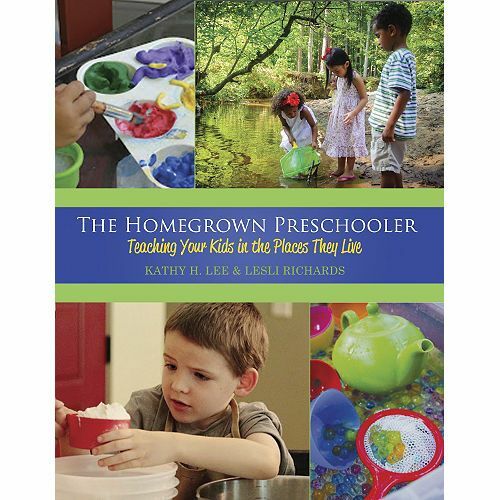 As a member of the Schoolhouse Review Crew, I recently had the opportunity to read The Homegrown Preschooler: Teaching Your Kids in the Places They Live. The title might be used to describe how I raised my own children; but with my youngest firmly in elementary school now, I was looking for encouragement and direction as I consider teaching other preschoolers from the same homegrown bent. This book is just what I was looking for! The authors, Kathy Lee and Leslie Richards, are mothers of several children, birthed and adopted; including gifted and special needs. They have years of education and hands-on experience between the two of them, and their book is beautifully compiled. A large, 81/2″x 11″, high gloss paperback, it is bold, colorful, inviting; and full of life. With the family pictures and personal anecdotes generously scattered throughout the book, by the end of it, I felt like I had shared conversations and special moments with wonderful, trusted friends. From their intros, they had my attention. Kathy Lee says, “Children who experience their preschool years discovering and experiencing are more willing to take risks later in their education journey.” I didn’t previously know this, so within the first few pages I gained valuable information. Then, Leslie said, “. . . much of learning can be done within the everyday rhythm of life — measuring flour, skip counting on the trampoline, bringing a meal to a shut-in, writing letters to friends, participating in interesting conversations about big ideas,” and I was reminded of what I do know; and I found encouragement. Chapters 1 – 9 help you understand why and how to educate your child/ren at home, giving them a foundation for life-long learning. and Social – Emotional skills. An Appendix includes an Activity Checklist, a Getting Started Checklist; and pages of Resources, with web sites, books, blogs and apps to lend a hand, instruct and encourage you along the way. They share all their favorites! I tried recipes, for food and play. There are dozens of them throughout the book. I’ve made ordinary finger paints and play dough before, but I’d never made clean mud or puffy paint! The make-ahead Turkey Taco Pie is easy. The recipe makes a lot, so it can be divided and frozen for extra pies, but it is actually perfect for my large family. It tastes good, too! I hone in on housekeeping and organizational tips, because the Lord knows I can use as much help in that department as I can get. There are so many good ideas here — some I’ve had myself, implemented and forgotten, or simply slacked off on, and I’ve read them as gentle reminders; others are brand new, and more than once I’ve thought, “Duh, why didn’t I think of that!” For example, we have wood floors and I taught my children how to sweep and mop them. How much more fun is it to have “The Clean Floor Dance Party: This often dreaded chore will become one of your favorites! Provide your child with a pair of white tube socks and a spray bottle of white vinegar and water. Encourage your child to squirt the hard floor with the vinegar solution. Put on your favorite dance music. Dance and skate around on the floor until it is shiny!” Clean floor, lots of fun and laughter, plus, with the amount of floor we have, this gets everyone’s heart rate up and counts as cardiovascular exercise, or PE, too! I have no doubt, I will continue to use this book, digging into its riches. At $29.95, it’s a treasure I can share with my daughters who are just beginning to teach my preschool grandchildren. The Homegrown Preschooler is much more articulate than I am and I think it will be one of the best tools I can offer them for their journey. My Crew mates had the choice of reviewing this same book or one titled, Global Art. You can read their reviews when you click the graphic below and follow the link. Disclaimer* I received The Homegrown Preschooler: Teaching Your Kids in the Places They Live, in exchange for my honest review as a member of the Schoolhouse Review Crew. I receive no other compensation for my reviews on this blog. The opinions expressed are my own. 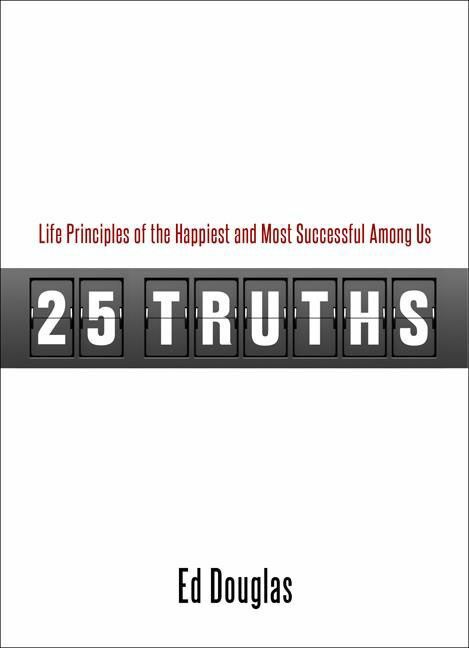 25 Truths: Life Principles of the Happiest and Most Successful Among Us, by Ed Douglas, from Ed Douglas Publications, has the potential to be a powerful tool in anyone’s life, when it is read and consistently applied. It is a small, paperback book, just 5″X7″ and 150 pages. It contains more than ideas, theories or mere possibilities, though. Written on these pages are proven life experiences, and principles of successful living. Each chapter title is a truth, a life principle; followed by a famous, relative quote or scripture reference. Mr. Douglas then shares a story of life experience, from his own life, the life of someone he’s known; or an historical account, to expound on and reinforce the importance of each of the 25 Truths. There is a brief Summary and Workshop of discussion questions included at the end of every chapter. The chapters are a clear and concise 3 – 5 pages max, teaching on character & values, interaction with others, faith, family, health & happiness; and more. Basically written for 6th – 12th graders, I chose to use it with my children and grandchildren, ages 8 – 14. When I knew my grandchildren were going to be spending their summer vacation camping with us, I decided I would use 25 Truths: Life Principles of the Happiest and Most Successful Among Us, as our daily devotional. I read it to them in the morning, at lunchtime, or winding down before bed. I would read one of the Truths and the discussion questions that accompany it, to myself, ahead of time. That took a whole 3 – 4 minutes! Then, we’d gather around the camp fire, start with prayer; and I’d read aloud. I used the discussion questions to help guide me and ensure I covered all the key points, but I chose to stop reading at different places throughout the text, and ask questions that would prompt sharing; instead of using them exclusively at the end of the chapter. We “chased a few rabbits,” as they say, and “got off on a tangent or two,” because of this decision, but the book definitely facilitated a good, open discussion between us. After we wrapped up our lesson, we’d close in prayer, asking God to bring the Truth to mind and help us live it out. It was a focused 15 – 20 minutes, once a day, using it this way. I think we all enjoyed the time and I expect it will have long lasting rewards. More than once during our days together, one or another would reference one of the Truths we had studied, as a way of accountability, in casual conversation, when they thought of another personal story that connected to something they remembered; or with pop quizzes to see who could name the most Truths. It was apparent they were thinking about the 25 Truths, even when we weren’t studying them. I’m going to assign this little gem of a book to my high school age children this coming year. Because it’s based on a sound, Christian world view, I believe it will make a great study of character values. They can read it themselves, and answer the discussion questions in writing. I think the positive reinforcements and benefits of Ed Douglas’ 25 Truths is worth more than $12.50, but I appreciate the price, because it’s affordable to purchase as a gift, also. In addition, several of my Crew mates have written reviews of 25 Truths: Life Principles of the Happiest and Most Successful Among Us, and you can find them when you click the banner below and follow the link. “It is my belief,” writes Ed Douglas, “that understanding and practicing these truths can help put the “man” together one person at a time so that, together, we can help the world fall into place.” I’m willing to do my part. . .
Disclaimer* I received the book, 25 Truths, in exchange for my honest review as a member of the Schoolhouse Review Crew. I receive no other compensation for my reviews on this blog. The opinions expressed are my own. Classical Christian education is based on the trivium, the lower division of the seven liberal arts, focusing on grammar — the memorization of facts pertaining to each subject, logic — organizing ones thoughts, statements, and arguments; and rhetoric — the art of speaking, communicating, and writing well, and taught from the perspective of a Christian worldview. Memoria Press is “a family-run publishing company that produces simple and easy-to-use classical Christian education materials for home and private schools. It was founded by Cheryl Lowe in 1994.” Their “products are characterized by three things: simplicity, quality, and affordability.” They have grown by leaps and bounds in the past 15 years, offering a complete Classical Core Curriculum for each grade, pre-K through 12; and individual subjects from Phonics & Early Reading to Greek and Latin. Memoria Press’ website is easy to navigate, and in addition to more in-depth product information you’ll find a great resource of encouraging articles. The Schoolhouse Review Crew and I have had the opportunity to review MP’s Geography I, for grades 4+; and Prima Latina for grades 2 – 4. You can read all of the reviews when you click on the graphic below and follow the link. Cheryl Lowe says, “Memoria Press’ Prima Latina and Latina Christiana programs are Christian Latin courses designed to introduce your child to the rich heritage of the Christian tradition and will provide you, the teacher, with the necessary core component for your Latin-centered curriculum.” It is written specifically, with a fine attention to detail, for parents and teachers who don’t know Latin. Since that’s the exact boat I’m in, I’m pleased to use it with my younger students! I have read, researched, and discovered that Latin teaches English; and it does it exceptionally well. Latin is a cohesive binder, tying subjects together from history to grammar, and more. It is regular and precise. A discipline that can be counted on to be systematic, steady; and analytical. I am excited by the possibilities that a solid foundation in Latin may afford my children. I have the Prima Latina complete set, that retails for $90.90. It includes the Student Book, Teacher Manual, Pronunciation CD, Instructional DVD’s; and Flashcards. I didn’t invest in the Prima Latina Copybook, yet; but I definitely plan to purchase it. It will add cursive writing and penmanship to our program. We’ve been doing 3 lessons a week, on Monday, Wednesday, and Friday. Doing our review work, recitation practice, using flash cards; and quizzing on Tuesday, Thursday, and Saturday. Sometimes, spending time in the evening, because we can, reciting our vocabulary words, and practicing the prayers and hymns we’re learning from Lingua Angelica. Leigh Lowe goes over everything on the DVD’s. Each DVD lesson is only about 15 – 20 minutes long, but there is a total 9 hours of instruction. She introduces each lesson and vocabulary, pronouncing a word or phrase several times and having us repeat it. She follows the student book, which makes it easy for the student to follow her. Workbook pages correspond to and reinforce the lessons we’re learning . I couldn‘t do it without her. I wouldn’t do it without the DVD’s. With Leigh’s guidance and teaching, it is actually simple, and fun! My young ones feel like they’re learning a secret-coded-language, because very few of their family or friends understand it. Over the 25 lessons we’re learning vocabulary, derivatives, beginning declensions; and conjugations. We see Latin roots in so many words now, and have had competitions to see who can find the most in a given paragraph or two. By the end of this year, if we stick with it as we intend to, we will have learned: seven parts of speech, 125 Latin words, numbers 1 through 10, basic constellations, simple introductions to tenses, Latin phrases; and more. You might have noticed that I’ve used the word “we” throughout this entire paragraph, because I am learning right alongside my children. We’re building new, strong foundations and strengthening some old ones! What’s your experience with the Latin language? I hope you’ll check out Memoria Press, Latin. I highly recommend it. Disclaimer* I received Prima Latina complete set, in exchange for my honest review as a member of the Schoolhouse Review Crew. I receive no other compensation for my reviews on this blog. The opinions expressed are my own. It never ceases to amaze me what one creative, motivated momma can accomplish when she has three young children, and wants to teach them that learning is fun! In this case, the woman is Wenda O’Reilly. Her first game was published by Birdcage Press in 2000. There are now more than 30 award-winning games available! I recently had the opportunity to review Art Ditto. It is a memory game, but it is so much more, too! There are 48, 2 1/2″ x 2 1/2″, high-gloss, heavy-duty tiles of famous museum-quality paintings. The paintings depict birds, boats, cats, flowers, horses; and music. They are gorgeous! There are also 8, 5″ x 10″ cards that can be used for collecting art sets. Designed for ages 4+, it is a wonderful game for family play with multiple ages. You’ll find it on the website for $24.95, and possibly in your local art museum’s gift shop. 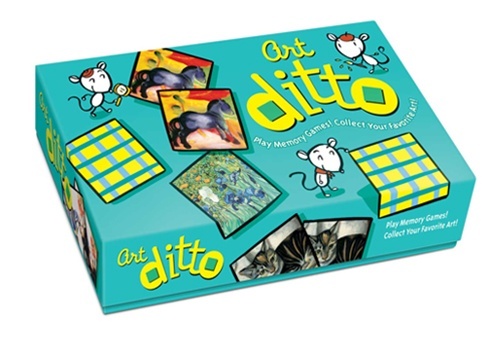 Because Art Ditto is a memory game, it promotes visual processing, matching, memory, taking turns; and sharing for young children. The pictures are vibrant, and hold a child’s attention. This game is not just for wee ones, though. The cards list the subject of the painting, the artist; and the name of the painting and the date. The text is written in four languages! English, French, Spanish; and German. (I do wish there was a pronunciation guide included, because it took me some time to look up the proper pronunciations so I could read them aloud.) This game could easily be used, with older students, as a supplement to their art studies, history; and language. I played it with a 4 year old. Just me and my granddaughter. She loved the art! We spent at least 15 minutes just enjoying the paintings, and discussing what we saw in them. 48 cards seemed a bit overwhelming for a memory game, though, and it took us forever to match them; so after the first game, we chose themes ahead of time. One time we chose the tiles with flowers and tiles with the color green on them, another time we chose tiles that had something “living” on them, and so on. Each new game, we mixed up the set of tiles and played with the smaller set, making it quicker and a little more enjoyable for her age. It’s a game that can easily grow with her, and future grandchildren. My Crew mates reviewed several of the products that are available at Birdcage Press, and if you click the banner below and follow the link you’ll find them there. Disclaimer* I received the game, Art Ditto, in exchange for my honest review as a member of the Schoolhouse Review Crew. I receive no other compensation for my reviews on this blog. The opinions expressed are my own. This is a review of Math Mammoth — multiple math options and resources for your child — created by Maria Miller. She has compiled hundred of pages of text and worksheets, organized as a complete curriculum, available for grades 1-6; or as worktexts/worksheets, by topic or grade level through grade 8/9 and including Algebra 1. Maria has spent more than 10 years developing these comprehensive math resources for Math Mammoth. She has continued to make improvements to them too, adding new books over the years, and offering them not just in print form, but on CD; and as PDF downloads as well. She has free tests on the website that can be used as basic math diagnostic tests. I find these especially useful in determining any topic gaps or weak areas in my child’s math education to date. In addition, Maria is more than willing to assist you with reading the test results and choosing grade level or topic placement. There are also more than 350 free worksheets and sample pages from Math Mammoth products and from Make It Real Learning activity workbooks, available on the Math Mammoth website. My Schoolhouse Review Crew mates have used and reviewed the various products offered by Math Mammoth. You can read their reviews when you click on the banner below and follow the link. I have been using the Light Blue Series, for 3rd grade, with my daughter. The Light Blue Series complete curriculum resources include a Student Worktext A and B, along with answer keys, cumulative reviews; and tests for each specified grade level. The Student Worktexts are the most important part of the curriculum. In each worktext you find the lesson material, a thorough explanation of concepts; and exercises. We read the topic introduction together and then I answer any questions my daughter might have. There is no prep work for me. In all honesty, the text practically teaches itself, because Maria Miller is very clear and concise in her direction. She has visualized how she would teach and tried to transpose that to the Student Worktext. I usually watch my daughter work a couple of problems, and if she seems to grasp the concept then I assign some of the exercises for practice and reinforcement. There are 163 pages in the Grade 3-A Worktext, and 158 in 3-B. They are divided into ten chapters covering: Addition & Subtraction, Multiplication Concept, Multiplication Tables, Telling Time, Money, Place Value with Thousands, Geometry, Measuring, Division; and Fractions. Each chapter lists numerous internet websites that can be used to supplement book work as desired. During the week, we choose 2 or 3 online games or worksheets that she can do for fun and added practice. Maria’s tried to think of everything, and as I said previously, she’s always making improvements. “The PDF files in the download or CD are enabled for annotating. This means that the student can actually complete the PDF file on the computer, using the typewriter and drawing tools available in Acrobat Reader version 9 or higher, or on a tablet device such as an iPad, using a PDF app that has annotating tools.” The downloadable version of the curriculum includes a Worksheet Maker for extra worksheets, and conveniently there is a separate PDF file for each chapter cumulative review and test. Many of the lessons have been completed in a day, but several have had to be spread out over 2 or 3 days. In general, we spend an hour to an hour and a half each day on this course. There are a few manipulatives needed for the Grade 3 Curriculum: an analog clock, a ruler, a measuring tape, measuring cups; and kitchen scales. Other than these items, the curriculum is complete. The full set download is $34.00, a CD is $39.00; and printed material is $45.95. There are obvious added printing costs with the purchase of the download or the CD, but I still feel like it’s a good value. I plan to read the reviews of the Blue Series, because it is worktexts for various topics, with each book covering 2-3 grade levels. I expect that it is as well written as the Light Blue Series, and I’ll be able to use it to review and bridge some gaps with a couple of my older children. 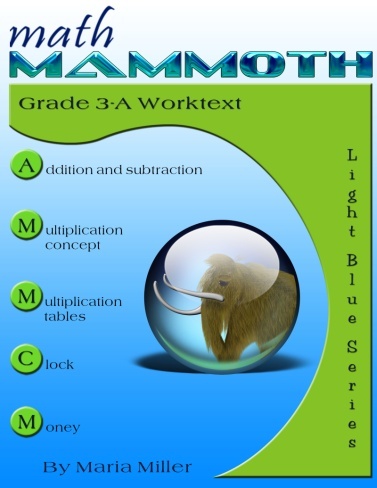 Would your child benefit from using Math Mammoth? Disclaimer* I received Light Blue Series – Grade 3, full set curriculum download, in exchange for my honest review as a member of the Schoolhouse Review Crew. I receive no other compensation for my reviews on this blog. The opinions expressed are my own. High School Prep Genius is from the same author as College Prep Genius — Jean Burk; and her daughter, Judah Burk. In November of 2011, I had the opportunity to review the College Prep Genius DVD Set. I highly recommended it, as it is designed to increase standardized test scores; secure scholarships and gain financial assistance for college. We continue to appreciate its value; therefore, I was excited to hear about High School Prep Genius, An Academic Guide to Excellence. I read the entire Introduction (Part I), and browsed the rest of the book before I presented it to my teenage son, for the two of us to read together. The first thing we did was set up a 2 1/2″ binder with pocket dividers as his College and Career Notebook. There are step-by-step instructions for this, with detailed forms to copy for accurate record keeping of: Subjects, Credits, Goals, Extracurricular Activities, Awards Earned, a Student Profile; and Etc. The authors believe it is never too early to start thinking about college and career choices. This is a mind set I haven’t had, but agree I must adopt in order to prepare my children for a successful future. When our children reach middle school and high school age, it is our responsibility as parents to teach them how to make important decisions on their own; and weigh the consequences or benefits of those decisions. High School Prep Genius walks us through how we might accomplish this task. Each chapter of this book is written to the student, but it is suggested that you read it together, taking about an hour and covering one chapter a week. After the content, there are several Think About It questions for the student. I chose to type these and print them as worksheets that can be put into the student College and Career Notebook, as they are completed. Our time, usually closer to two hours, consists of reading aloud together, my son answering the thought-provoking questions; and then discussion. I appreciate the question prompts that often give me further insight into my son’s heart and mind. There is also a section specifically for parents, aptly titled, Parent’s Homework. Here I find information and suggested activities that help me assist my child in reaching his chapter goals. The chapter we’re starting this week is Your Financial Independence. My Homework leads me to discuss the importance of financial planning and budgeting. Suggestions for how revenue should be allotted are included, as are book titles that could be helpful. Chapters 1 – 6 are in the Foundation for Personal Success (Part II), and that’s where we’ve spent most of our time thus far. “The key to success in life begins with a strong sense of self,” writes the author. The student discovers and explores who they are or who they want to be through chapters on: their personal development and interests, owning their beliefs, being healthy, gaining financial independence; and building a strong support system. The next section, Part III, is the Foundation for Academic Success. Chapters 7 – 12 are included here, and I’ve glanced ahead at the subjects we’ll be discussing: Academic Development, Effective Studying, Tests and Papers; and more. Today is the day to begin! 24 billion dollars are awarded in college scholarships, and with a little planning and prep work there’s no reason your child or mine can’t be a recipient of some of these funds. 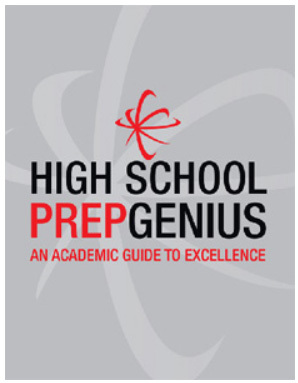 You can purchase High School Prep Genius, An Academic Guide to Excellence for $29.95, and I think it’s a worthwhile investment. You don’t have to read my opinion of this book only, though. You can read more than 50 of my Crew mates reviews when you click on the banner and follow the link below. Disclaimer* I received a copy of High School Prep Genius, in exchange for my honest review as a member of the Schoolhouse Review Crew. I receive no other compensation for my reviews on this blog. The opinions expressed are my own. No doubt, I am one of thousands of stay-at-home-moms (SAHMs) that have looked into various ways to add income into their household, while staying at home on a daily basis raising my young children. No doubt, the state of our U.S. economy and the current rate of unemployment has encouraged many people to go back to school for training that might make them more employable upon graduation. After I complete this course with a passing grade, I should have the knowledge I need to take the IRS Registered Tax Preparer (RTRP) Exam. Once I pass that exam, I can more easily do my own tax returns, work for a company preparing tax returns for other individuals or small businesses; or even start my own tax practice! I am on schedule to complete this course the beginning of 2013, so I probably won’t be established on time to work through the upcoming tax season and that’s a disappointment; but I’m excited about my future possibilities. It has been many years since I was in school and my greatest challenge with the Federal Income Tax Course has been setting and maintaining a consistent time for my personal study. I teach and I study to prepare to teach, but I haven’t been back to school for 30 years. In my enthusiasm, I had hoped to earn my Certificate of Graduation in the 8 – 10 week time frame that many students follow; but I quickly realized it wasn’t feasible for me. Although the material is written in non-technical language, making it fairly easy to understand, it still takes me 2 – 3 readings sometimes to feel like it’s clear. I don’t want to miss a thing! Needless to say, this has extended the suggested 8 hours of study time per lesson to an intensive 12 hours on occasion. I do appreciate the fact though, that any “subject material that is irrelevant or of rare application has been omitted,” giving me the core of what I need to succeed in the least amount of time. I’m grateful that ultimately students are given a whole year to complete the course, if necessary. Shortly after I enrolled in the Federal Income Tax Course, everything I needed to begin was delivered to my home in a big, heavy box. They are working toward having the entire course available online, and actually have the first 17 lesson modules, self-assessments and Unit Exams complete. I haven’t used the online version, yet, but I have browsed it enough to see that it mirrors the contents of the physical course I have. I think I’ll definitely use it to submit my Exams. – The Complete Text Material, in an overwhelming 3 inch binder. It is a clearly written, step-by-step text with practical examples, real-life illustrations and sample computations over 20 in-depth lessons. – Self-Check Practice Problems allow you to pre-test yourself before your Unit Exam. – Examination Problems are open-book check-ups of the knowledge gained. – Instruction & Grading Service. Completed Exams are mailed to NTTS where they are reviewed and graded, corrected and commented on by an instructor if needed. – Practical Case Studies. You can practice and test what you’re learning using real-life case studies. – Building and Operating a Successful Tax Practice Book is nearly 300 pages of How-To set-up and efficiently run a profitable, professional tax practice. – Reference Book – The RIA Federal Tax Handbook, more than 800 pages, divided into 5059 numbered paragraphs; that answer tax questions and resolve tax problems that may arise when preparing federal tax returns. A Graduation Certificate marking successful completion of the course. And Postgraduate Services. You are assigned an experienced expert in accounting and tax preparation procedures throughout your course and after completion for a period time designated by your choice of enrollment options. No previous accounting, bookkeeping or tax knowledge is needed to take this course. It “has been designed to give the student a clear picture of the over-all tax structure” and working knowledge of tax laws and procedures, not just the mechanics of filling-in-the-lines of a tax form. The student is taught the reason-why behind the regulations, etc. Because of this, I definitely feel like I have a better understanding and retention of the material. National Tax Training School has been teaching and exclusively training tax preparers since 1952. I have the utmost confidence in them and I’m actually looking forward to tax season! I think the $495 enrollment fee is a good value and investment for my future. If you have questions or comments you can contact National Tax Training School through their informative, easy-to-navigate website. Several of my Crew mates have had the opportunity to use the Federal Income Tax Course and you can read their reviews when you click on the banner below. I’m hoping this course will be the answer to some of our financial needs. I’ll let you know how it’s going as I continue to study. Disclaimer* I received a copy of this course in exchange for my honest review as a member of the Schoolhouse Review Crew. I receive no other compensation for my reviews on this blog. The opinions expressed are my own. Every Thanksgiving I am abundantly blessed to gather with my immediate family, extended family and friends in celebration of all God has done for us and our country. 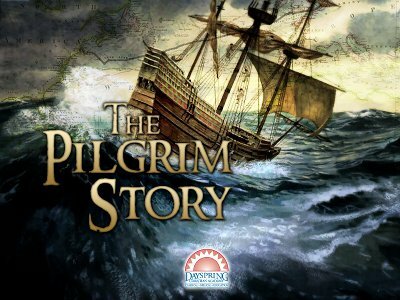 This year my children and I will have a deeper more thorough understanding of one of the most important times in America’s history, thanks to Dayspring Christian Academy and The Pilgrim Story. If you’ve already watched the short clip above or clicked on the links I included then you have an idea of what The Pilgrim Story is about and you know that the cost of the course is $99. What you don’t know is that, if it is possible to fit this into your budget, it is well worth it! This is a self-guided, self-paced, interactive online course. This means that after you enroll you will have access within 48 hours, and then for the following 6 months you can view it whenever it’s convenient for you. It doesn’t meet at a specified time. This has been a huge bonus for my family! Technically it is designed for grades 3 – 6, but the writer, Mary Stauffer, has led over 20 guided tours of Plymouth, Massachusetts using “the words of our country’s forefathers to teach the Pilgrim’s Story” and I personally believe students of all ages can gain insight from this study. I’ve been able to use this course myself, ahead of my younger children, because I wanted to and not because it is a necessity. I’ve only had to assign it to my older ones and nothing else is required from me. They don’t even have to view it at the same time or at a designated time each day. They have the freedom and flexibility to fit it in and around their individual schedule. Because Dayspring Christian Academy teaches using The Principle Approach of Learning, there are Principles of Christian Character and Biblical Principles of self governance, hard work, perseverance and Christian Liberty throughout the presentation. The course is organized in 5 Units of 3 or 4 Lessons each, with a Virtual Field Trip to Plymouth, MA at the end. Each Lesson is 30 – 45 minutes long, plus an optional 60 – 90 minute Enrichment Activity. A Student Notebook is a key component of The Principle Approach and is a valuable record of their learning. You’ll need a 1-inch binder and 5-tab dividers, one for each Unit. I copied the list of Recommended Books, chose which ones I wanted by grade level and then requested them from my library ahead of time. Open Source Books, with free online access, are also listed. Reasoning Questions for Writing Practice or Oral Presentation are included, along with Answer Keys, Grading Rubrics, and Activity Guides. Review Questions provide a great Recall Assessment and there is a Unit Test at the end of each unit. Dayspring Christian Academy will actually grade, record and maintain the Unit Test grade for one student, when the multiple-choice test is taken. I do wish the video clips were closed-captioned, so my students would have the added benefit of reading along with the narrator, otherwise I am absolutely thrilled with The Pilgrim Story and the knowledge we’ve gained! Also note that several of my Crew mates had the opportunity to review this course and you can read their opinions when you click the graphic below and follow the link provided. I hope your Thanksgiving is especially blessed this year. Disclaimer* I received 6 months online access to The Pilgrim Story, in exchange for my honest review as a member of the Schoolhouse Review Crew. I receive no other compensation for my reviews on this blog. The opinions expressed are my own. After many years of steadfast prayer fueled by constant desire, some of my children are now receiving music instruction from a local school of Fine Arts. I don’t know how long we’ll have the opportunity, but with this gang we presently qualify for a big-family rate; so it’s affordable. I appreciate the balance, as I see it, in their education; with Bible, academics, music & art, home management and community service. I like being able to introduce my children to different things to find their level of interest and their natural bent. A couple of my younger ones are actually starting out ahead of my older ones, thanks to KinderBach. 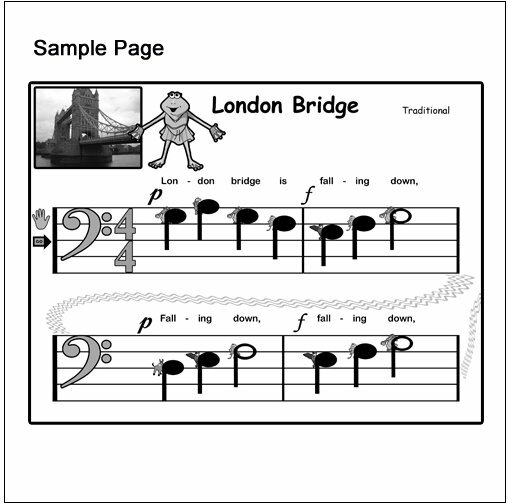 Karri Gregor is the creator, illustrator and teacher of KinderBach Piano Lessons. She believes that children do not have to read to be able to learn to play piano or read music. She has designed characters that help her students remember the piano keys, notes and the staff; instead of letters making words that must be read. KinderBach is bright, colorful, fun and engaging! Designed for ages 3 – 7, my younger children gained a foundation in music before they even realized they were taking lessons. Click the graphic to view an informative video of KinderBach at Home. Click to see the full cast of characters. There’s ample material covered over 6 levels with 10 lessons each and 4 sessions in each lesson. Yes, that’s a total of 240 sessions of private, in home music lessons! Lessons are child-paced. They can be watched and watched again, at no extra cost, when your daughter gets stuck on a favorite session or two like mine did. The hands on activities thoroughly reinforce the lessons, making this a complete curriculum. My daughter especially enjoyed attaching the little finger cues to her fingers, following the prompts and playing the piano. I laminated the paper finger puppets so she could use them more than once, because they really encouraged her to strive for the goal of eventually playing without them. Children quickly learn to play music that they recognize. 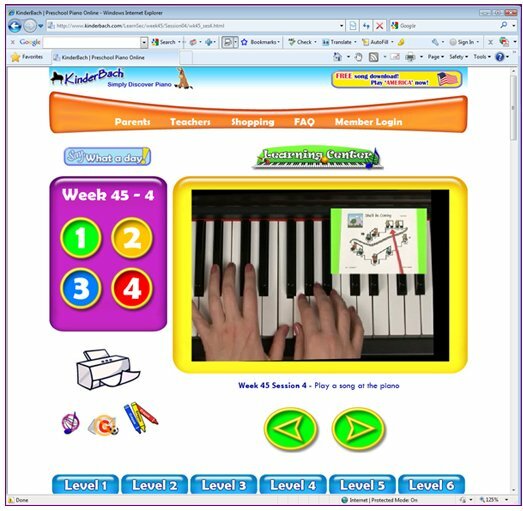 A Year Online Membership gives you web access to all sessions by computer, iPad/iPhone, Android, Tablet, Kindle Fire or Nook; plus downloadable PDF activity pages that accompany lessons. The best value is $7.99 a month for an annual subscription – billed in one payment of $95.88. The TOS Crew previously had the opportunity to review KinderBach, but this time some of my Crew mates were given the chance to use the new iPad/iPhone App that’s available for Levels 1 – 3. 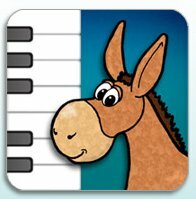 “App lessons can be purchased one at a time, or at a reduced rate for an entire level.” The keyboard that’s needed for the lessons is on the screen, plus six mini-games are unlocked as you purchase more lessons. The added convenience of education-on-the-go for just $26.99. I’ll definitely be reading their reviews! The entire curriculum is still available in a DVD & CD Activity Package, per level; for the one-time charge of $40.45 each. Value Packages are available, too! What grabbed my attention is the fact that every disc has a “lifetime replacement” included in KinderBach’s exceptional 30-day Money Back Guarantee! Contact KinderBach through the website. In addition, I have written two other reviews of KinderBach, and they can be found under the blog titles – Good Education and The Sound of Music. This is a great program and I hope to use it with my grandchildren in the future. Disclaimer* I received 6 months online access to KinderBach, in exchange for my honest review as a member of the Schoolhouse Review Crew. I receive no other compensation for my reviews on this blog. The opinions expressed are my own. Subscribe with Twitter, Facebook, Email or a Reader. Click the icon of your choice below. You can subscribe multiple ways to make sure you get the latest reviews and updates. Aida on It is Beeyoutiful!